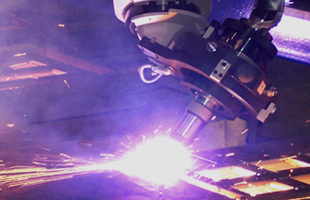 Alro’s Plasma Cutting Systems provide tighter tolerances, minimizes machining on finished parts and provides greater part accuracy than standard ﬂame cutting. Plasma has a smaller heat affected zone and reduced edge cracking when forming. PC-based control technology increases control in shape cutting. 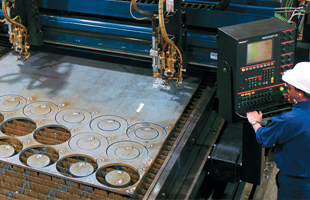 Part nesting and tight tolerances give plasma cutting an advantage over other processing. 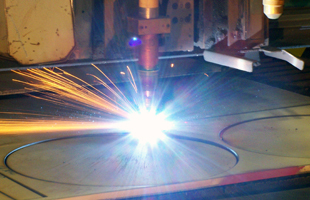 Alro’s Plasma Cutting machines also offer beveling and etching capabilities. Plasma has a smaller heat affected zone and reduced edge cracking when forming. better on Carbon up to 1"